Kushner Family, China's Anbang End Talks Over Manhattan Real Estate Deal : The Two-Way Anbang had discussed investing more than $400 million to redevelop an office tower owned by Kushner Companies — a deal that raised ethical concerns. Negotiations to redevelop an office tower owned by the family of President Donald Trump's son-in-law, Jared Kushner, at 666 5th Avenue in Manhattan have unraveled. The family of President Trump's son-in-law and adviser, Jared Kushner, has called off talks with Chinese insurance company Anbang to redevelop a Manhattan office tower — a deal that raised ethical concerns. 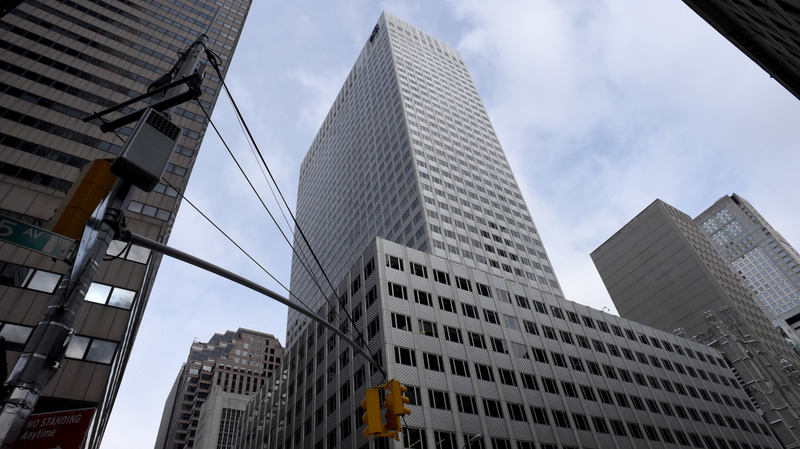 "Kushner Companies is no longer in discussions with Anbang about 666 5th Avenue's potential redevelopment, and our firms have mutually agreed to end talks regarding the property," read a statement from the Kushner family. "Kushner Companies remains in active, advanced negotiations around 666 5th Avenue with a number of potential investors." Jared Kushner bought the property in 2007, before the mortgage crisis hit. It subsequently lost a lot of money and nearly became insolvent. Anbang, a company worth $300 billion that has ties to the families of several past Communist leaders, "had discussed investing more than $400 million as part of a $4 billion transaction with Kushner Cos. that may have included terms that some real estate experts considered unusually favorable for the Kushners," Bloomberg reported. The potential deal raised the ire of lawmakers, who were worried about a well-connected and powerful Chinese company exerting influence over the family of one of president Trump's closest advisers. As Bloomberg writes, "Five Democratic lawmakers asked the White House in a March 24 letter to explain whether Kushner was involved in any talks about the possible partnership with Anbang and also asked for additional details on Kushner's divestment from his family's company." Although Jared Kushner sold the 666 5th Avenue property to the rest of this family to avoid the appearance of a conflict of interest, legal scholars said that because Kushner had already met with Chinese leaders as an adviser to the president, it raised some serious questions. "Is it reasonable for us to trust that Jared Kushner actually has the interests of the public at heart when he is advising the president or dealing with the Chinese, who have apparently just enriched his family to an extraordinary degree?" Washington University of St. Louis law professor Kathleen Clark said in an interview with NPR during Anbang's negotiations with the Kushner family. In recent years, Anbang has been eager to buy property in the United States. It purchased the Waldorf Astoria Hotel in New York, and it owns many other assets. However, because of concerns regarding Anbang's ties with China's Communist Party, its deals in the United States nearly always attract scrutiny from the U.S. lawmakers. Last year, when Anbang attempted to buy a resort in California, the federal government wouldn't approve it because it was too close to a naval base. The cancellation of the Kushner family deal with Anbang comes at a time when Jared Kushner is under increased scrutiny by government officials. Senate investigators plan to question him as part of its investigations into ties between the Russian government and Trump's 2016 campaign.